Thats all. Game finished - Slavia Prague 0, Chelsea 1. Second Half ended - Slavia Prague 0, Chelsea 1. Ibrahim Benjanim Traore - Slavia Prague - won a free kick in defence. Offside - Slavia Prague. Ondrej Kolar with a pass, however Mick Van Buren is in offside. Corner - Slavia Prague. Conceded by Ruben Loftus-Cheek. Antonio Rüdiger - Chelsea - won a free kick in defence. Eden Hazard - Chelsea - won a free kick in attack. Corner - Slavia Prague. Conceded by Jorginho. Goal! 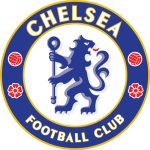 Slavia Prague 0, Chelsea 1. Marcos Alonso - Chelsea - shot with the head from the centre of the box to the left corner. Assist - Willian with a cross. Willian - Chelsea - won a free kick in defence. Eden Hazard - Chelsea - won a free kick on the left wing. Vladimir Coufal - Slavia Prague - receive yellow card for a foul. Eden Hazard - Chelsea - won a free kick in defence. Substitution - Slavia Prague. Mick Van Buren for Peter Olayinka. New attacking attempt. Jan Boril - Slavia Prague - shot with right foot from the centre of the box is saved in the left corner. Offside - Chelsea. N'Golo Kanté with a pass, however Olivier Giroud is in offside. Missed chance. N'Golo Kanté - Chelsea - shot with left foot from the centre of the box missed to the left. Assist - Olivier Giroud with a head. Olivier Giroud - Chelsea - won a free kick in attack. Substitution - Chelsea. Ruben Loftus-Cheek for Ross Barkley. Substitution - Slavia Prague. Josef Husbauer for Lukas Masopust. Missed chance. Simon Deli - Slavia Prague - shot with right foot from outside the box missed. Missed chance. Vladimir Coufal - Slavia Prague - shot with right foot from the right side of the box missed to the left. Missed chance. Jan Boril - Slavia Prague - shot with left foot from the right side of the box missed to the left. Assist - Jaromir Zmrhal with a cross after corner. Corner - Slavia Prague. Conceded by Kepa Arrizabalaga. 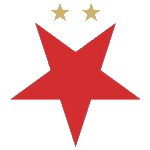 Corner - Slavia Prague. Conceded by Marcos Alonso. New attacking attempt. Ibrahim Benjanim Traore - Slavia Prague - shot with right foot from outside the box is saved in the top left corner. Assist - Lukas Masopust. Substitution - Chelsea. N'Golo Kanté for Mateo Kovacic. Vladimir Coufal - Slavia Prague - won a free kick in defence. Substitution - Slavia Prague. Jaromir Zmrhal for Miroslav Stoch. Missed chance. Antonio Rüdiger - Chelsea - shot with the head from the centre of the box missed to the left. Assist - Willian with a cross after corner. Corner - Chelsea. Conceded by Jan Boril. Ross Barkley - Chelsea - won a free kick in defence. Missed chance. Willian - Chelsea - shot with left foot from a diffucult position on the left missed. Assist - Olivier Giroud. New attacking attempt. Antonio Rüdiger - Chelsea - shot with right foot from the centre of the box is saved by goalkeeper in the centre of the goal. Corner - Chelsea. Conceded by Simon Deli. Substitution - Chelsea. Eden Hazard for Pedro. Corner - Chelsea. Conceded by Vladimir Coufal. Corner - Slavia Prague. Conceded by César Azpilicueta. Offside - Slavia Prague. Peter Olayinka with a pass, however Lukas Masopust is in offside. Petr Sevcik - Slavia Prague - won a free kick in attack. Missed chance. Olivier Giroud - Chelsea - shot with left foot from the centre of the box is close, but missed to the left. Assist - Willian after corner. Corner - Chelsea. Conceded by Michael Ngadeu-Ngadjui. Marcos Alonso - Chelsea - won a free kick in defence. Second Half starts Slavia Prague 0, Chelsea 0. First Half ended - Slavia Prague 0, Chelsea 0. Corner - Slavia Prague. Conceded by Willian. Petr Sevcik - Slavia Prague - won a free kick on the right wing. Offside - Chelsea. Ross Barkley with a pass, however Olivier Giroud is in offside. Willian - Chelsea - won a free kick in attack. Willian - Chelsea - hits the bar with a shot with right foot from the left side of the box. Assist - Pedro. Peter Olayinka - Slavia Prague - won a free kick on the left wing. New attacking attempt. Petr Sevcik - Slavia Prague - shot with right foot from outside the box is saved by goalkeeper in the centre of the goal. Assist - Alex Kral. Missed chance. Vladimir Coufal - Slavia Prague - shot with the head from the centre of the box missed. Assist - Peter Olayinka with a cross. Shot blocked. Miroslav Stoch - Slavia Prague - shot with right foot from outside the box is blocked. Assist - Alex Kral. Missed chance. Ross Barkley - Chelsea - shot with right foot from outside the box goes high. Missed chance. Simon Deli - Slavia Prague - shot with the head from the centre of the box is close, but missed. Assist - Miroslav Stoch with a cross . Ibrahim Benjanim Traore - Slavia Prague - won a free kick on the left wing. Get real-time football commentaries and full coverage for the Europa League match Slavia Praha vs. Chelsea, powered by Scorenga.co.uk. This page is dedicated to one of the most exciting Europa League clashes. Here you will find a summary of the game, standings and photos.